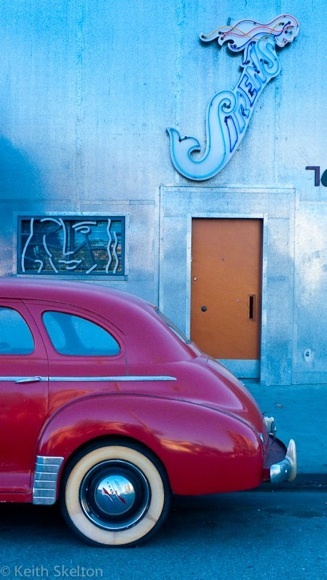 My pal Keith Skelton is holding a photo workshop–shooting the streets of L.A.–on June 9. Some of you may know I have an interest in genealogy. One of the bet things to come out of reality TV is Lisa Kudrow’s new show with Ancestry.com, “Who Do You Think You Are?” Oprah featured the topic yesterday on her show. I have to catch up on the Sarah Jessica Parker episode because a friend is her and Matthew Broderick’s assistant in New York. I love a great detective story, and genealogy sure provides an endless supply. The tune-in numbers for the first episode of Who Do You Think You Are? are in, and they look promising! More than 6.85 million viewers tuned in to watch the show (including many of you! ), making it the No. 2-rated show that hour. This week’s episode is one you don’t want to miss. Tune into NBC this Friday at 8/7c as former NFL football player Emmitt Smith sets out to discover his slavery roots. In this episode, look for the Monroe County Courthouse in Monroe County, Alabama, and the Mecklenburg County Courthouse in Mecklenburg County, Virginia. Lisa Kudrow calls Emmitt’s episode “unbelievable” and the most compelling of the seven. Check out more at nbc.com. For those who missed it – last week’s episode featured Sarah Jessica Parker, who learns that her 4th great-grandfather John S. Hodge was among the hundreds of thousands who tried to strike it rich by heading West during the 1849 California Gold Rush. Unfortunately, Sarah discovers John S. died soon after settling in El Dorado County, California. Sarah also pays a visit to Massachusetts and meets with researchers at the New England Historic Genealogical Society and Massachusetts Historical Society, who reveal that one of her ancestors was accused of witchcraft in 1692 during the infamous Salem Witch Trials. Luckily, Sarah finds out that the court surrounding the trials was dissolved just before her ancestor was accused, so she was never tried. If you missed the episode, watch it here. How they helped: Sarah Jessica Parker’s family tree presented a unique challenge – Sarah herself was certain her family was comprised solely of recent immigrants. Researchers, however, determined this was incorrect, tracing the family of her great-grandmother, Lillian Hodge, back to its early American roots. Researchers turned to census records to follow the Hodge family back through time. In the 1860 U.S. Federal Census, great-great-great-grandfather, John Eber Hodge, is a young boy living at home with his widowed mother. Who was John Eber Hodge’s father? Researchers located an obituary for John Eber, dated 1908. His father, John S. Hodge, is mentioned in the obituary along with the note that John S. died on his way to California in 1849. Returning to census records, a John Hodge, who matches the description of John Eber’s father, is found in 1850 in El Dorado County, California. Occupation: miner. Estate and other documents further confirmed that the ancestral John S. Hodge and the California miner John Hodge was the same individual. The 1849 death date is from a published obituary, not a primary source. Obituaries are compiled from information offered at the time of a person’s death, second-hand or even later. It’s likely that details in John Eber Hodge’s obituary were relayed by a friend or relative of John Eber, not John Eber himself. The person who reported the obituary facts may have relied on stories he or she had heard from John Eber Hodge, who himself had never met his father. Slight discrepancies in dates and other information are quite likely in secondary sources, which is why locating original records is so important. For those of you into Porsches, you know the difference between a 911 and a 912. But honestly, who cares when you’re out having fun! Here are pix from our recent trip with the 912 Registry gang in Morro Bay. We took a side trip to Hearst Castle, too.